Beautiful Wedding Dress - Elissa by Demetrios. I brought it brand new from friend of my mother&#39;s. I wore it once. Its in great condition. Has some beading to it which I loved. I believe it&#39;s a size 2-6. I wear size 2-4 in clothing. I am 5&#39;2&#34; and wore heals. 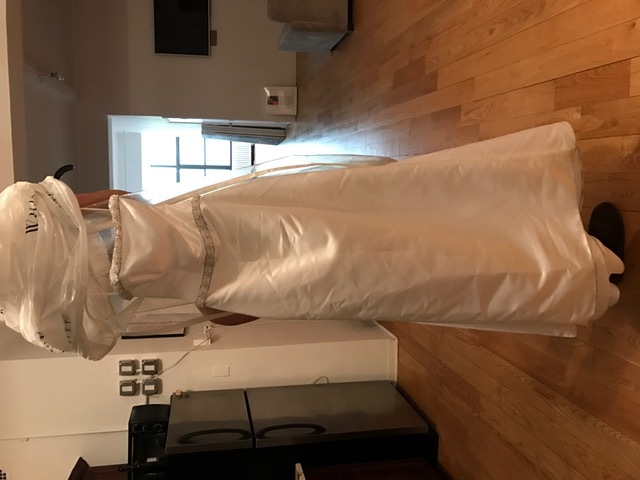 Favorite memory in dress: I got married in this dress and used it once. I bought it from a friend of my mothers. Size 2-6.